Security researchers, companies and organizations have joined forces in a new non-profit global initiative whose goal is to secure smart cities. Backed by Kaspersky Lab, IOActive, Bastille, Symantec, the Cloud Security Alliance and others, the Securing Smart Cities (SSC) initiative’s goals include educating cities and providers on the importance of security best practices, building partnerships between stakeholders, promoting the introduction of security into a project’s development lifecycle at an early stage, and creating standards, guidelines and resources for improving cybersecurity in smart cities. Intelligent solutions are increasingly used to make cities safer, energy efficient, environmentally friendly, and comfortable. Saudi Arabia, for example, is investing tens of billions of dollars to build smart cities. However, experts warn that many of the IT organizations working on such solutions neglect security, leaving smart cities vulnerable to cyberattacks. Members of the Securing Smart Cities initiative believe security should be made a priority from the early stages to avoid having to deal with costly and complex issues in the future. 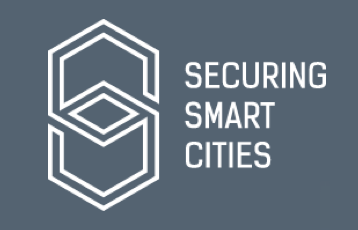 The initiative aims at identifying and addressing the challenges faced by smart cities by connecting security researchers with infrastructure automation equipment providers, and by bringing together the security community with city authorities. As researchers have demonstrated on several occasions, many of the smart systems deployed in modern cities are plagued by serious security issues. For example, IOActive’s Cesar Cerrudo has demonstrated that the traffic control systems present in major cities all around the world can be hacked and manipulated. Vasilios Hioureas of Kaspersky Lab and Thomas Kinsey of Exigent Systems demonstrated that the CCTV surveillance systems used by cities are also vulnerable to cyberattacks. Securing Smart Cities is open to new participants. City authorities, researchers, and vendors interested in making modern cities safer are urged to join the initiative.